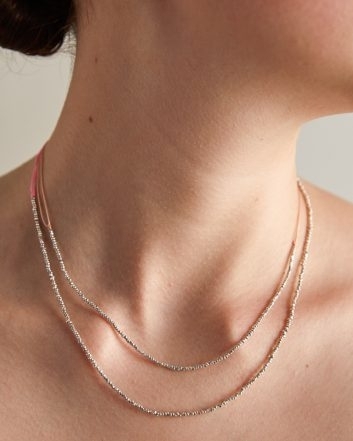 As pretty in the front as they are in the back, our Adjustable Sterling Silver Necklaces make a beautiful handmade gift! Using our Sterling Silver Beads, each necklace is like a string of sparkling tiny stars, interrupted only by a pretty pop of color! 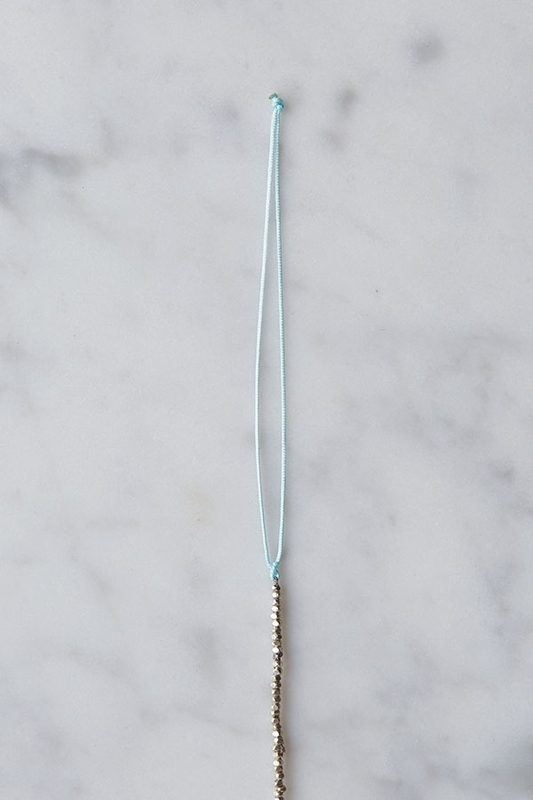 To make these necklaces, you string the beads onto Silk Bead Cord and use the finest gauge of Chinese Knotting Cord to create an adjustable closure. 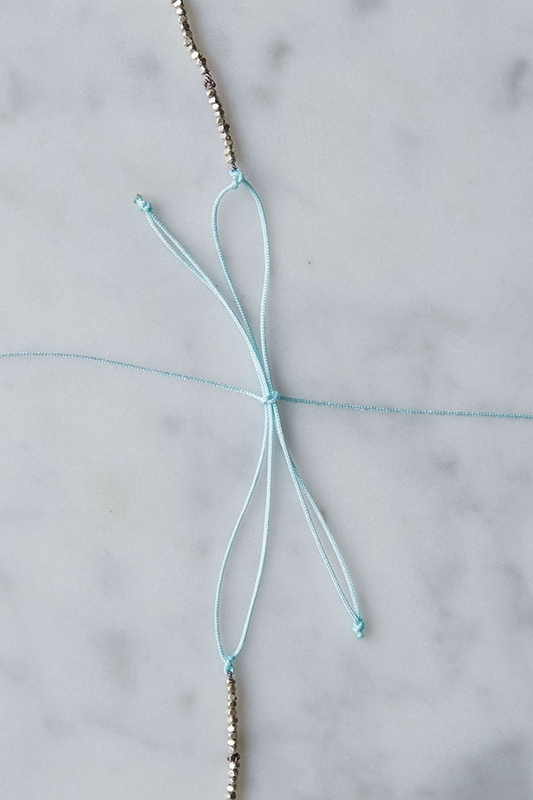 The closure is super simple, involving just a couple of easy knots, which we explain in our new step-by-step Basic Macramé Knots Tutorial! 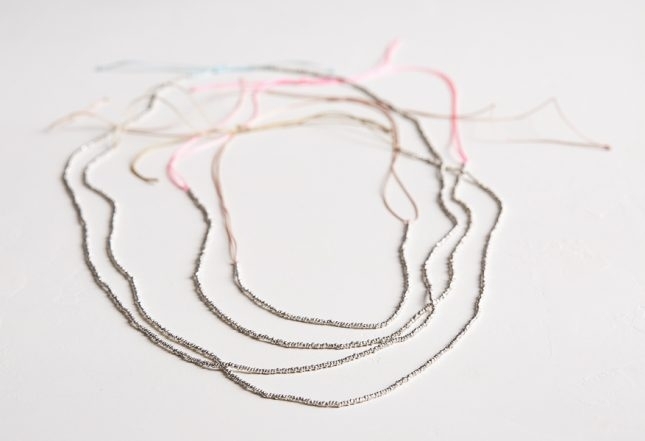 The great thing about these closures is that, not only are they an integral part of the necklace’s beauty, but they function so you can wear your necklaces however you want: long and loose or more high and snug, solitary or piled together at varying lengths. 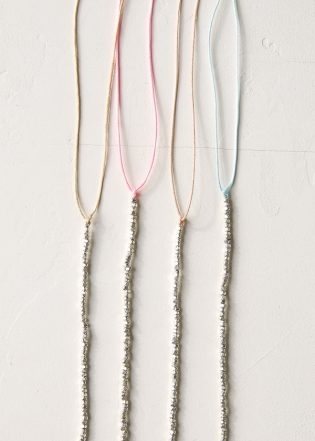 All of these necklaces extend to 34 inches in circumference, but you get to choose how many beads to use. 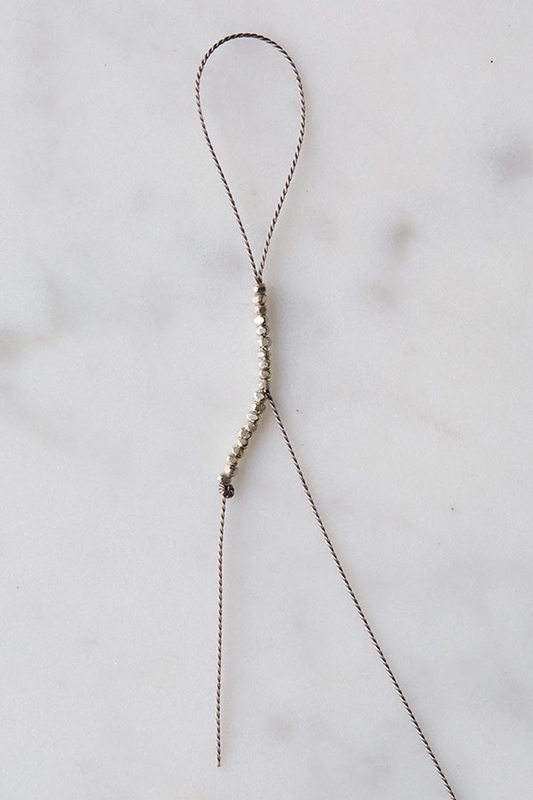 String either an entire strand of Sterling Silver Beads, three quarters of it, half, or a quarter. These options allow you to calibrate how many beads you want to buy with how many Adjustable Sterling Silver Necklaces you want to make! 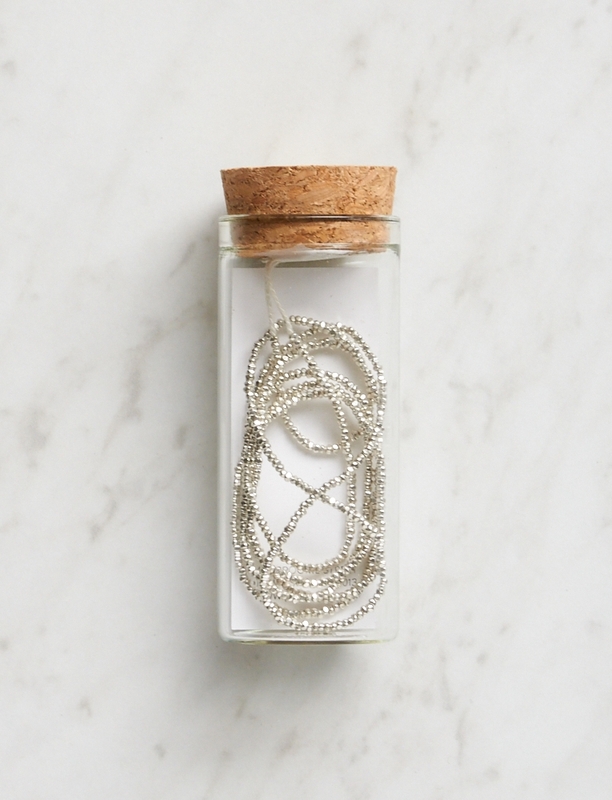 So special in their details and so extra twinkly, opening a gift of Adjustable Sterling Silver Necklaces is like letting the light shine in… So string up a few for all the people on your list who love to sparkle! 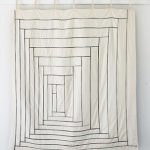 This project designed for Purl Soho by Molly Schnick. 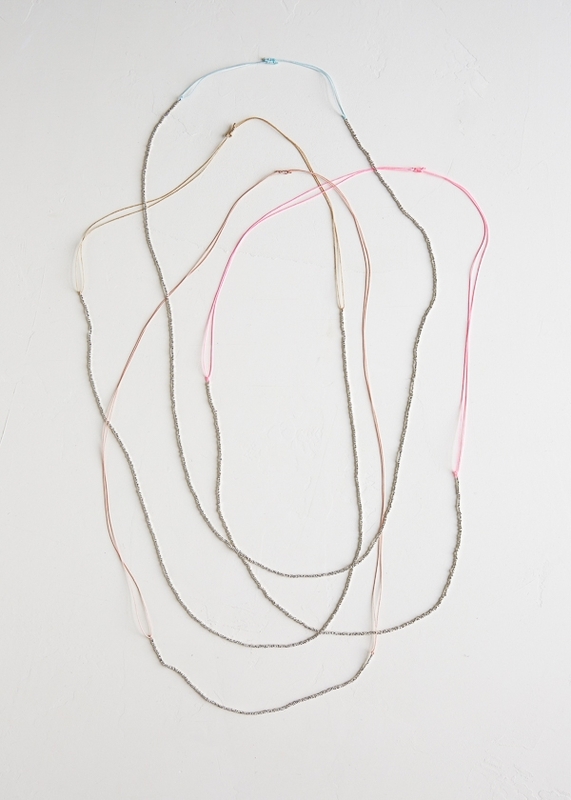 NOTE: With these materials you can make one necklace with a 28-inch section of beads; or one necklace with 21 inches of beads and one with 7 inches; or two necklaces with 14 inches of beads; or four necklaces with 7 inches of beads. 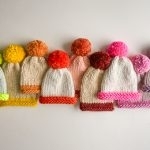 See Sizes, below, for more information, and the Pattern, below that, for the how-to’s! 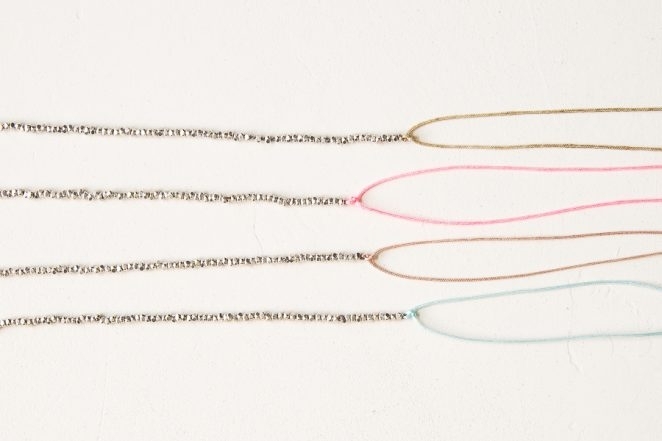 NOTE: Shorter beaded sections have longer closures (and longer beaded sections have shorter closures), which is why the circumference is the same for all four versions of the necklace! 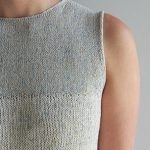 Run the Silk Bead Cord under an iron to get rid of the kinks. 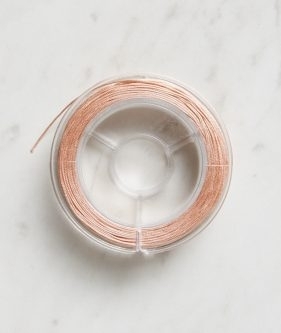 Straighten out the wire end, which is the needle, as much as you can. 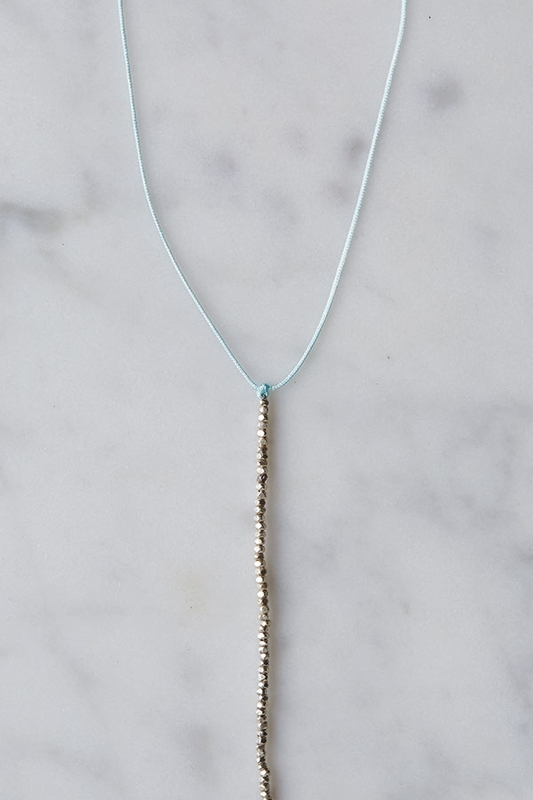 Cut the Sterling Silver Beads strand into a length 7 (14, 21, 28) inches long. Put the remainder of the Beads aside. Do not worry about the beads falling off the strand. They are strung very tightly and don’t tend to! Cut two pieces of Knotting Cord 27 (20, 13, 6) inches long. These are the End Pieces. 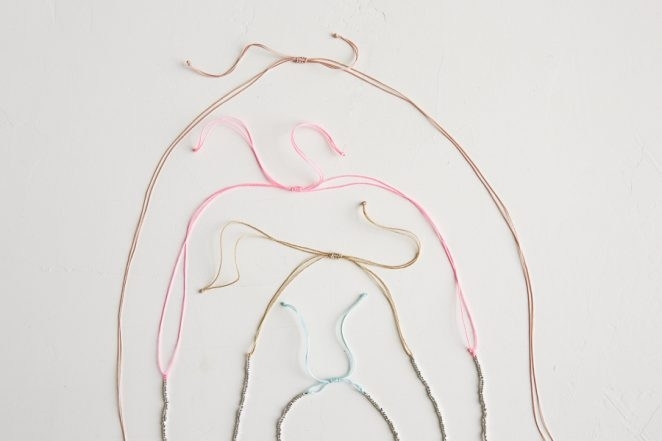 Cut one piece of Knotting Cord 8 inches long. This is the Closure Piece. 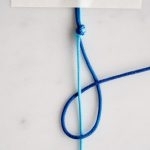 Tie two loose overhand knots near the end of the Silk Bead Cord. This is the Original Knot. 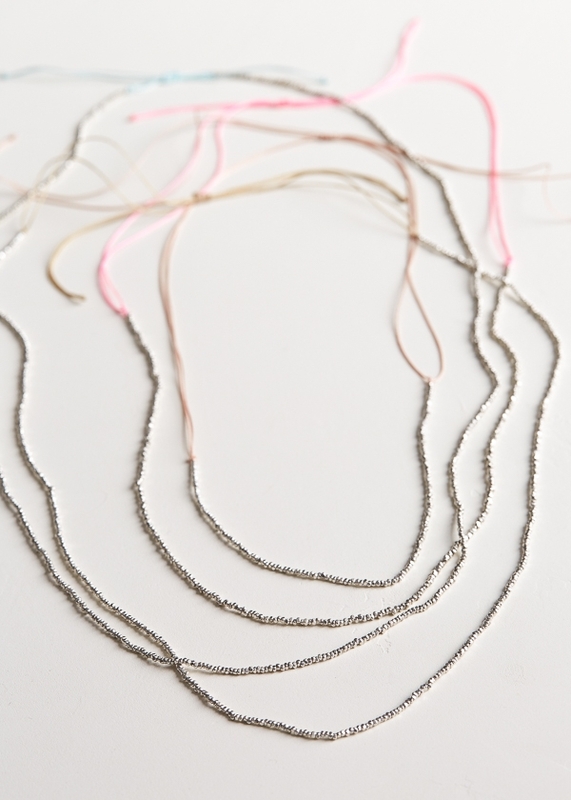 Thread 20 Silver Beads onto the Silk Cord, all the way down to the knot. Now switch directions: Pull the needle through the last 10 beads you just threaded, but do not pull the cord all the way through (the beads would fall off if you do!). 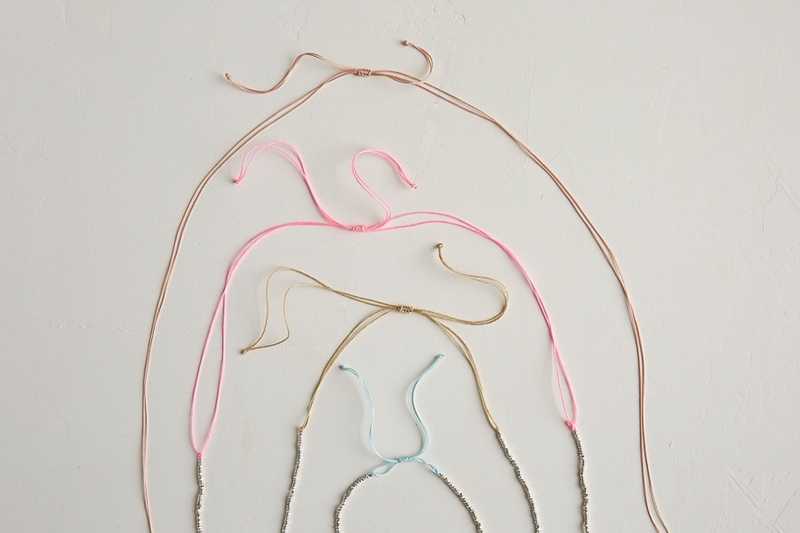 Instead, leave a small loop at the end of the beads. 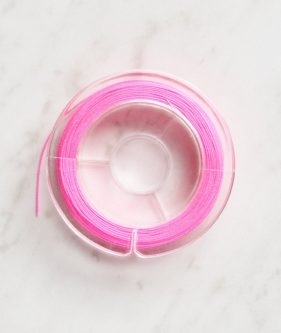 Insert one of the End Pieces through the loop. Pull the needle to tighten the loop around the End Piece. 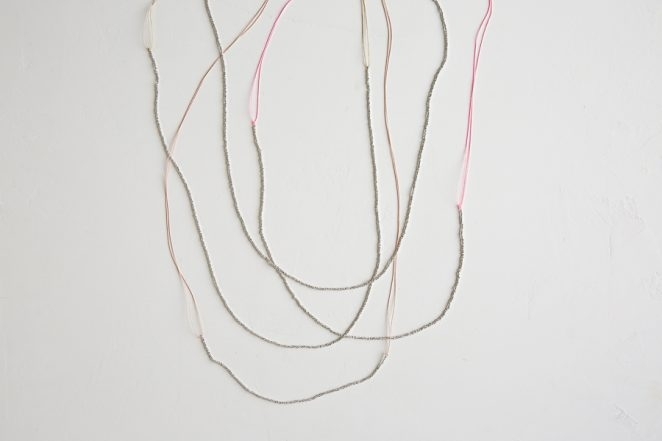 Arrange things so that the Silk Cord loop is right in the middle of the End Piece, bisecting it in half. 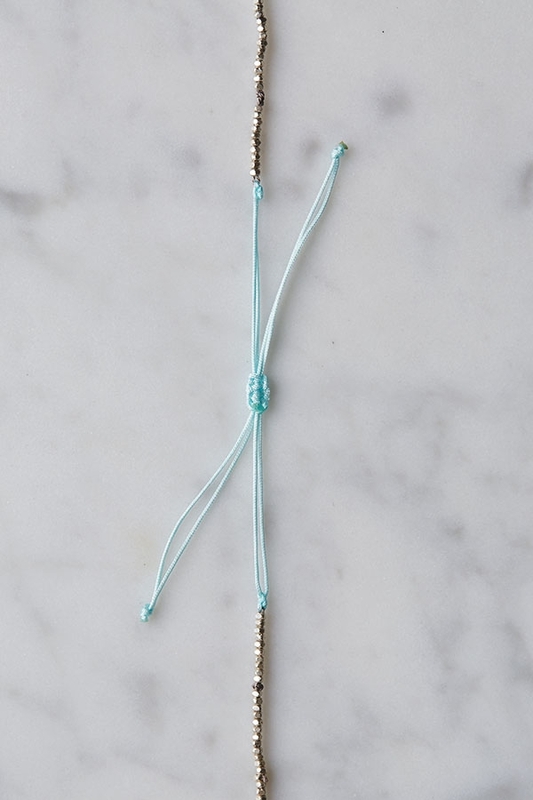 Now pull the needle through the first 10 beads that you strung, and snip off the Original Knot. 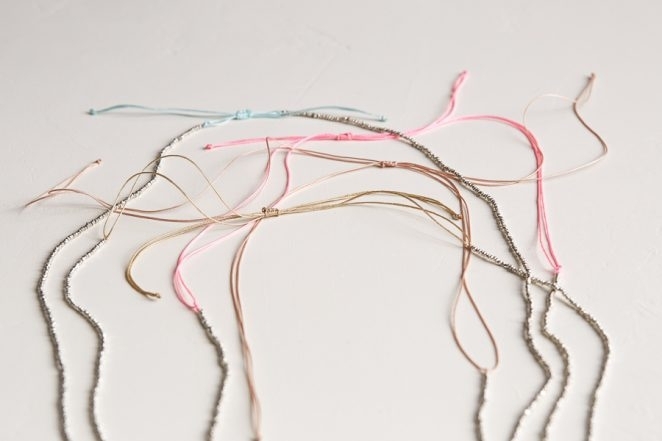 Thread remaining beads onto the Silk Bead Cord until the beaded section is 7 (14, 21, 28) inches long. Switch directions once again and pull the needle through the last 10 beads you threaded. 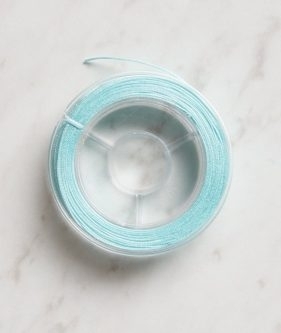 Again, do not pull the Silk Cord all the way through, but instead leave a little loop. 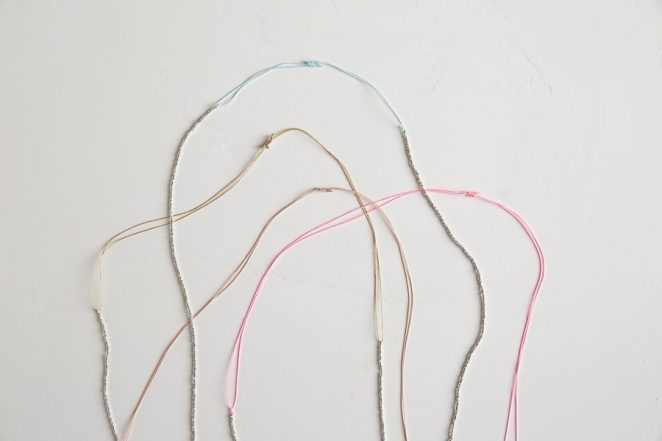 Insert the second End Piece into the loop and tighten the Silk Cord around it, just as you did at the beginning of the necklace. 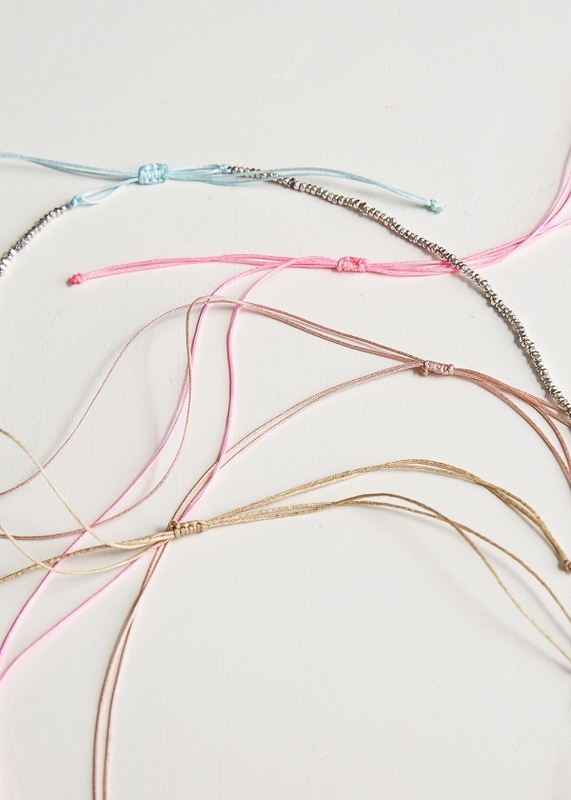 Make sure to keep the beaded section tightly strung together as you do this. 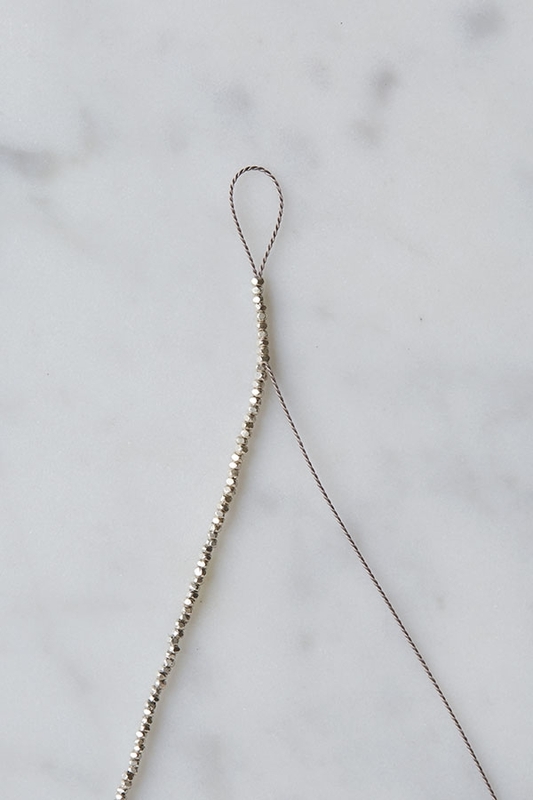 Just as you did at the beginning of the necklace, use the needle end of the cord to tie two overhand knots to the adjacent piece of cord, at the 10th bead. Pull the needle through 10 more beads and exit at the 20th bead from the end. At the 20th bead, snip off the needle end of the Silk Cord. 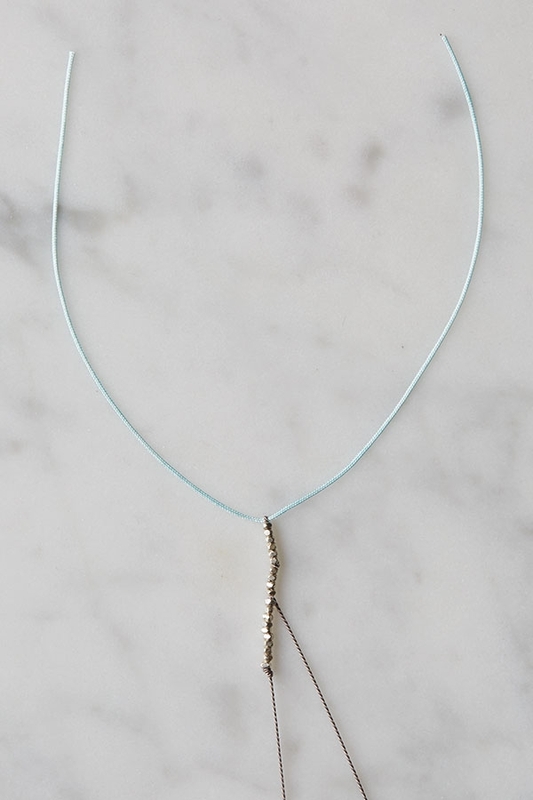 Start at one end of the necklace and double check that the End Piece is centered through the loop. Adjust it, if necessary. 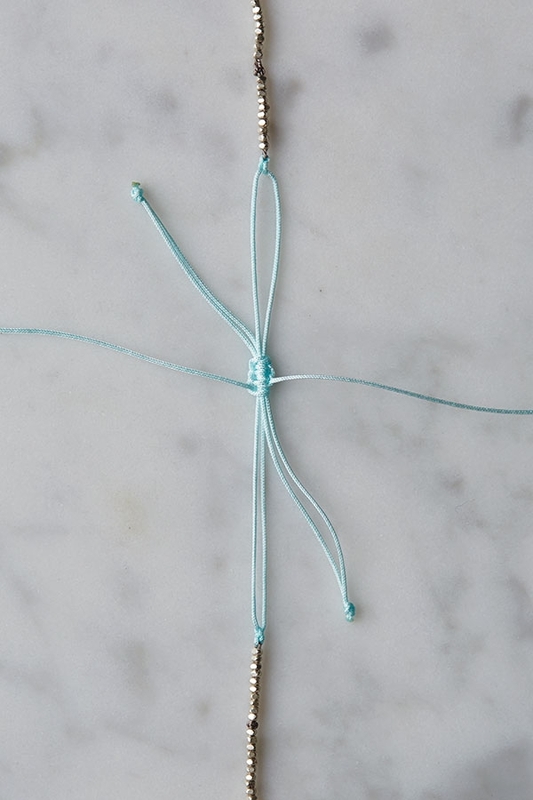 Tie the two ends of the End Piece into a tight square knot right up against the last bead. Match up the two ends and tie them together into an overhand knot as close as possible to the end. 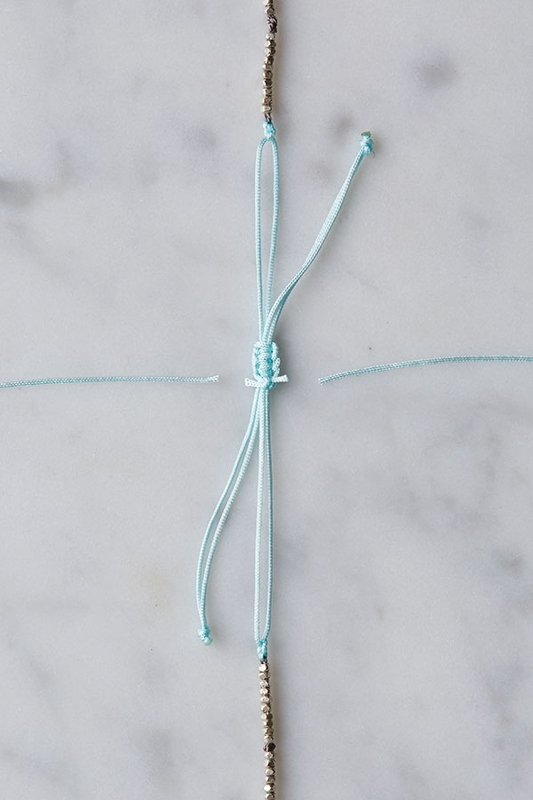 Use a lighter to gently melt and secure this last knot. 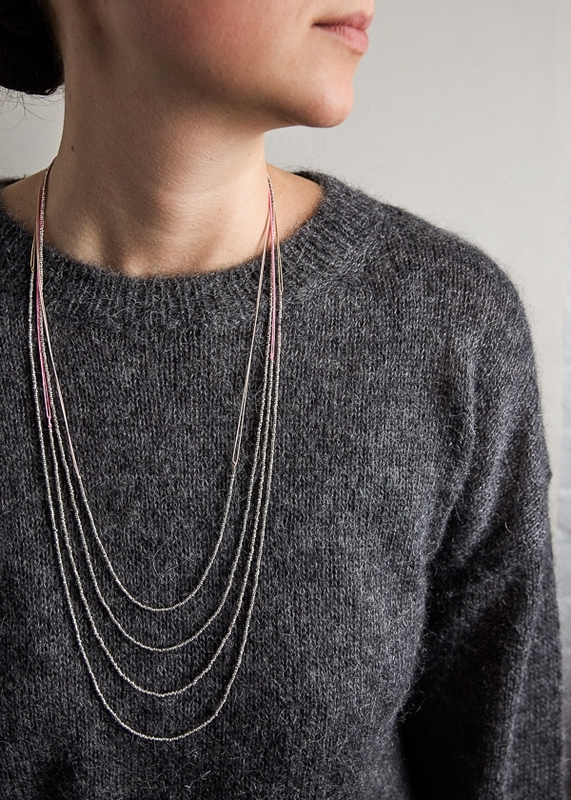 Repeat these steps for the opposite end of the necklace. 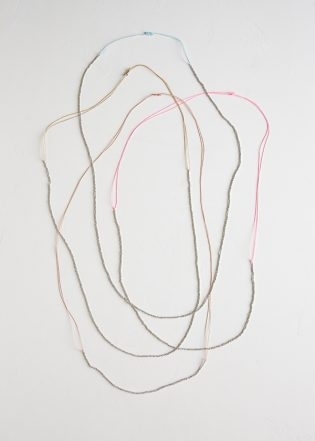 Once both ends are finished, arrange the necklace into a loop and lay the ends next to each other, going in opposite directions. Slide the Closure Piece under the center of both End Pieces and tie a half-granny knot (like the first step of tying your shoes) around both End Pieces. 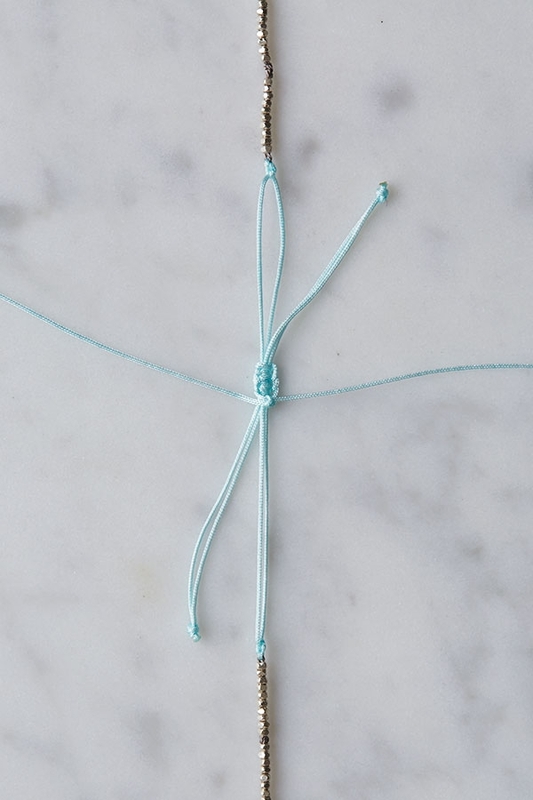 NOTE: For these steps, please check out our Basic Macramé Knots Tutorial for instructions on how to tie Half Right and Half Left Knots. With the right-hand tail of the Closure Piece, tie an HRK. With the left-hand tail of the Closure Piece, tie an HLK. Repeat these 2 steps two more times so you have 3 knots on each side. 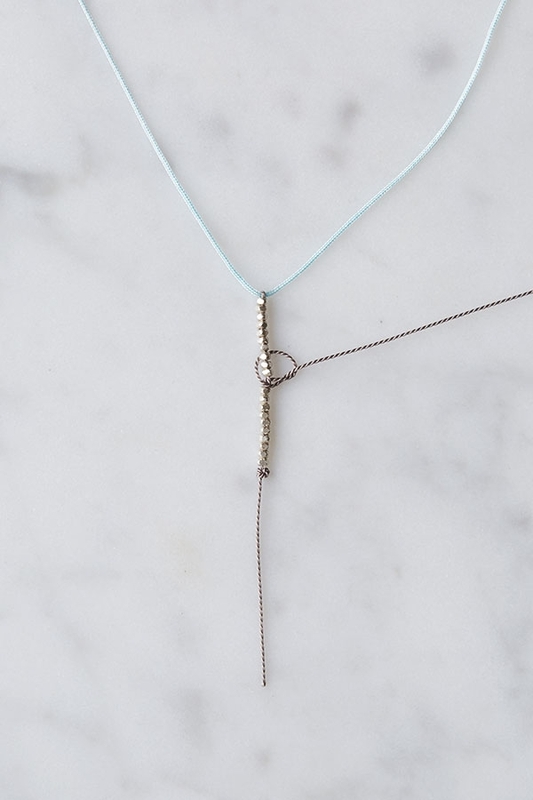 Flip the necklace over so the opposite side of these knots is facing up, and then use both ends of the Closure Piece to tie a tight square knot. 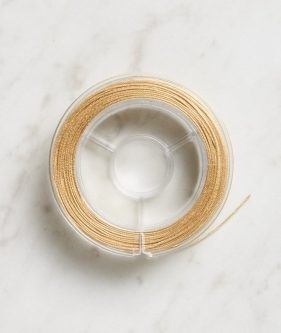 Snip the ends off very close to the knot and immediately use a lighter to melt the snipped ends and secure the closure. You’re all done! 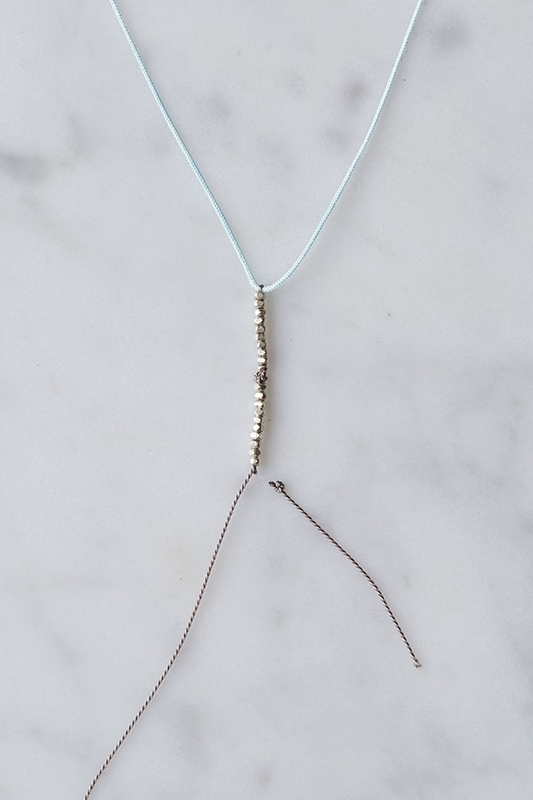 To tighten the necklace, pull the knotted ends of the End Pieces, and to loosen it, pull the ends of the beaded sections.